The Royal Wootton Bassett Arts Festival 2017 Syllabus has recently been launched at a Friday evening concert. The programme included performances from every section of the Festival. Thank you to all those who took part, their teachers, their friends and family. RWB Arts Festival is in full swing! 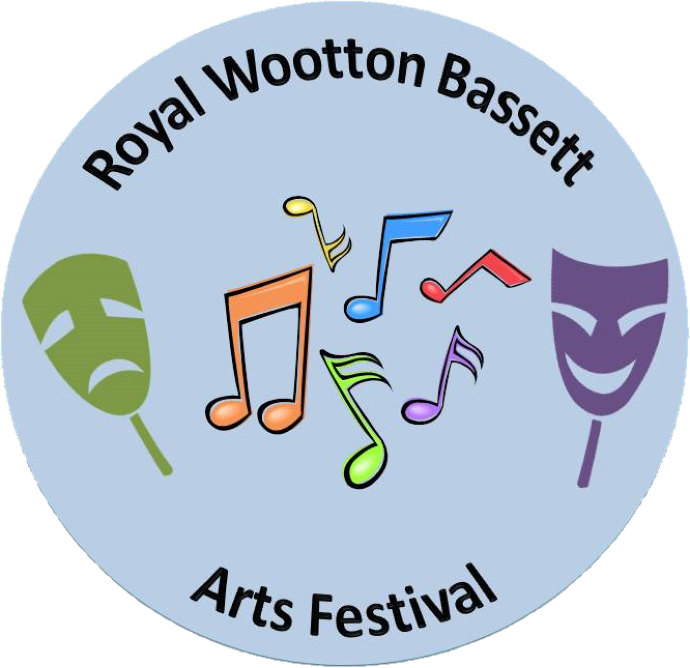 Royal Wootton Bassett Arts Festival aims to encourage and celebrate the “Arts” being taught, practiced and performed in Royal Wootton Bassett and the surrounding areas. There is something for everyone to demonstrate their skills in the adjudicated classes, workshops, concerts and other events. We hope everyone will all enjoy presenting their work, engaging with the spirit of the Festival, and will leave enriched by your experience. All the World’s a Stage! as Shakespeare said! Once again we are helping the local Rotary Clubs to find eligible solo singers, instrumentalists and pianists for the Rotary Young Musicians Competition. The Royal Wootton Bassett Arts Festival attracted a huge amount of talent this year and the autumn concert, With A Song In My Heart, celebrates this. Tilly Wale, Harry Apps and Alexander Harris are the young stars of this year’s autumn festival concert. Alexander has just been accepted into the National Youth Orchestra, beginning in mid-December. Tilly has had success in both the Royal Wootton Bassett Arts Festival and the Swindon Music Festival as well as securing the Catherine Lamber UK Junior Recital Prize and a place at the Two Moors Young Musicians Platform. She is a member of the National Youth Choir and is a sought after soloist with the Swindon Male Voice Choir and the Thamesdown Ladies Choir. Harry too is studying for his A-levels at Royal Wootton Bassett Academy where he is the lead singer of the Swing Band. The singer took the leading role in the MJ-UK Production of The Clockmaker’s Daughter, The Scarecrow in Stage Smart’s The Wizard of Oz, and this year he was Jack in Theatre Ink’s version of Into The Woods, and Hanschen in Barn Youth Theatre’s Spring Awakening. Read more here. Congratulations to all! RWB Arts Festival’s 10th Anniversary! The Committee is delighted the Festival is going from strength to strength, and has now reached a monumental ten years! The team look forward to the future which will no doubt bring ever growing examples of new creative talent and vision to the forefront. In ‘Wiltshire Loves Arts’, the 10th Anniversary Project to perform “Requiem for Soldiers” by local composer Frank Harvey was discussed. See here. A much enlarged festival with opportunities for people of all ages to enter for classes to compete for awards in Music, Singing, Speech and Drama, Acting and Creative Writing was held on 5, 6 & 7 June in 2009 just outside Swindon in Royal Wootton Bassett, Wiltshire. The Speech, Drama, Acting, Public Speaking & Creative Writing Section which now includes some very interesting classes in the field of Media as well will next be held in November 2012. The award of The Xpress Train Trophy for the most outstanding Public Speaker will again be made. Entry Deadline is 30 September 2012. Xpress Train Ltd. will again be awarding a special trophy for competition in the festival this year and is also associated with the Doreen Room Memorial Rose Bowl award. Royal Wootton Bassett – known simply as “Bassett” to locals – witnessed the return of the bodies of 355 servicemen and women between April 2007 and August of this year. The town’s prominence was a chance of geography, lying as it did on the route from RAF Lyneham, the airbase used for repatriations, to Oxford, where bodies are taken for post mortem. The Wiltshire town of Wootton Bassett has formally received the title “Royal” in a ceremony on Sunday afternoon. Royal Wootton Basset was recognised for its dedication in honouring Britain’s war dead in recent years.